Although it’s now been a decade since the 2007-2008 financial crisis, which cost the UK an estimated £7.4 trillion, financial providers are still trying to repair the damage and mistrust that surrounds their industry – in fact, UK investors and consumers still distrust banks more than any other industry. To combat and change this reputation, many financial services brands are overhauling their marketing strategies by moving away from functional and traditional methods to more innovative and personalised campaigns which focus on speaking to their customers. However, completely revamping an existing marketing strategy cannot guarantee success if it doesn’t meet modern consumer demand. With this in mind, here are three ways financial services can bring their marketing into the now. The financial services have long adhered to the sales cycle of slow booking deadlines and long production cycles. 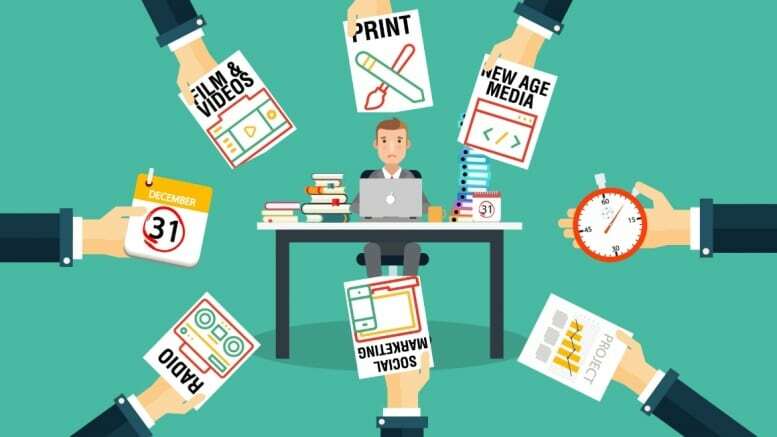 Now, they are looking to evolve their sales cycle by becoming more creative with their marketing campaigns based on customer feedback and sentiment. 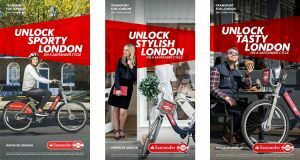 Santander launched their ‘Unlock Your London’ campaign in June, 2017. Taking over sponsorship from Barclays of the London cycle hire scheme, the campaign is aimed at promoting what London has to offer in terms of food, fashion, fitness and much more through their specially curated bikes and cycle routes. They have also endorsed influencers such alongside sports brand ambassadors Jessica Ennis-Hill and Jenson Button, who have created their own bike routes to showcase the best spots across the capital for eating and working out. In under a year, the campaign has boosted brand engagement and visibility significantly. According to Santander’s Chief Marketing Officer, Keith More, approximately 67% of people now associate Santander with the scheme. By appearing as a brand that helps facilitate a growing community, Santander’s new and potential customers will feel more positive towards Santander and begin to place their trust in them making it more likely that Santander will attract new business and develop customer loyalty. 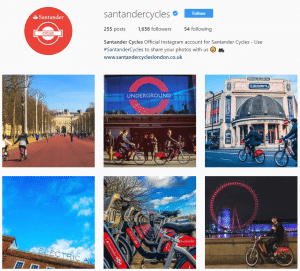 The scheme also has its own Instagram and Twitter pages where users are encouraged to use the hashtag #SantanderCycles for a chance to be featured on their newsfeed – this user-friendly marketing approach not only generates free content, but it also identifies Santander as a brand that is actively engaging with their customers and target audience. After the financial crisis, the reputation of financial services was left in tatters: businesses within this sector tried to focus their attention solely on attracting new customers by offering them the best deals. Although this might seem like an efficient way to generate new business, where do existing and loyal customers fit into this strategy? Now, a decade later, financial services are looking to evolve their engagement by marketing to loyal customers. According to Invesp, it costs five times more to attract a new customer than to keep an existing one, so creating relationships with your current customers by offering excellent customer services and a fully optimised CRM (customer relationship management system) is essential. Although emails and contact forums are perceived to have surpassed phone calls as the preferred methods of contacting businesses, this isn’t necessarily applicable to financial services. If an existing customer requires an immediate response, or an open-ended discussion (e.g. for banks it could involve a security issue or booking an appointment to discuss getting a loan), answers to these more pressing matters cannot always be provided via email; customers could decide to call instead. Additionally, if an existing customer wants to discuss something a bit more complex, they might feel the only way to gain reassurance is over the phone, so ignoring phone calls could be holding them up within the sales cycle making them more likely to visit a competitor. Considering that 75% of consumers feel a phone call is the most efficient way to receive a response from a business, disregarding the importance of phone calls could be negatively affecting your reputation amongst loyal customers. Creating user-led content is a fantastic way to make an authentic connection with your customers that differs from your competitors. Instead of focusing on pushing your services, it showcases what matters to your customers and what matters to them the most. In recent years, many financial businesses have tried to create marketing campaigns that focus on their customers and sharing the customers’ experiences; moving away from the typical television adverts that mostly focus on showcasing what their staff can offer likely customers in attempt to connect with potential customers on a human level. Nationwide’s messaging has always been aimed at helping ordinary people to come together to accomplish something they could not achieve alone, whether it’s saving for the future or fulfilling the ambition of owning their own home. After focusing on protecting the brand post the financial crisis, Nationwide decided to change the angle of their brand to explaining what makes a building society different from other banks. Their new campaign entitled ‘Voices’ helps celebrate the voices of ordinary people speaking up for what matters to them in today’s society. Each of the films featured a spoken word poet addressing issues of community, security and family – views that are equally shared by Nationwide. According to Sara Bennison, Nationwide’s Chief Marketing Officer, “The voices of ordinary people are rarely heard within financial services advertising today. In doing this we demonstrate the deep understanding and deep ethic of care baked into Nationwide as a mutual, while underlining our purpose – building society, nationwide”. So far, the videos have been widely shared of social media and displayed on television multiple times, indicating that the brand’s perception is beginning to become one that is customer-centred. Is the ‘World Cup effect’ real?